Fruity - fresh mask with 50% natural pineapple juice provides at several levels for your skin requirements. A combination of three care vitamins prevent the formation of wrinkles. Hyaluronic acid and selected humectants moisturize the skin. The result: a smooth skin and a fresh complexion. For normal and impure skin. Apply 1-2 times per week to the cleansed skin. After 10-20 minutes exposure, remove with gentle circular movements. 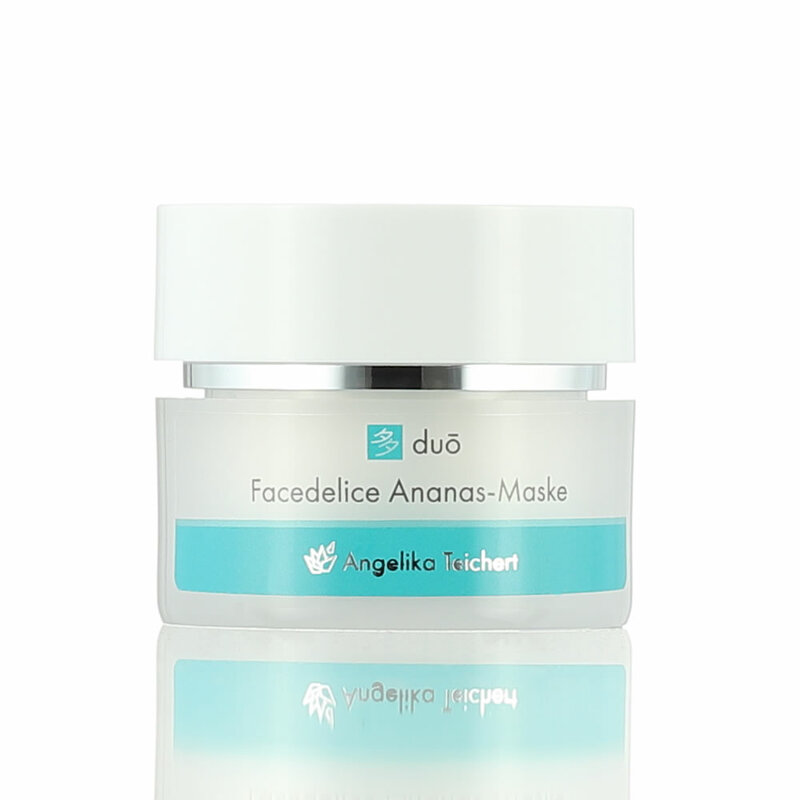 Use the mask in the evening before applying the Facedelice Night Cream.